[NEWS] Iwata Satoru Dies at 55. What awful news to hear this morning. 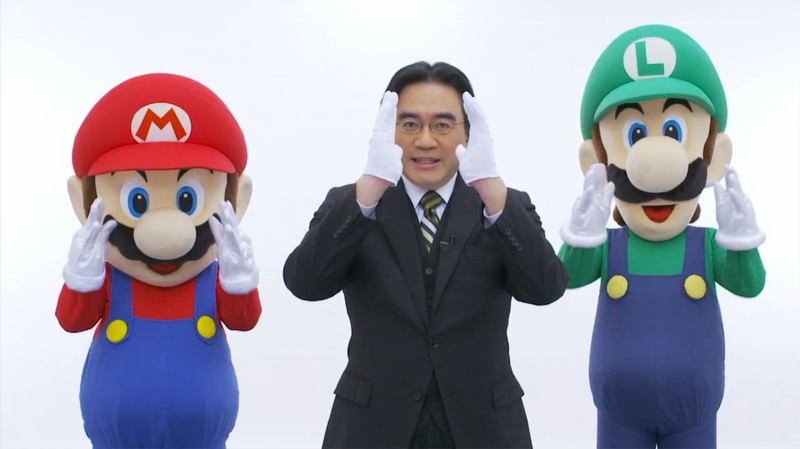 It wouldn’t have been as shocking if Iwata was honest about his condition. We were led to believe that he had gotten better after not appearing at E3 in 2014 and having surgery. Iwata continued to work while he was sick and it’s sad to think that only the people closest to him knew. . The best memory that I have of Iwata is hearing that he personally compressed Pokemon Gold and Silver to make space for Kanto. One of my favourite childhood memories was defeating the Elite Four and then realising that I can explore Kanto and earn sixteen badges. On top of that I had the ability to fight Red.. Which I did over and over again. I was also impressed that he learnt the program for the battle system from Red and Blue in a week and had it working in Pokemon Stadium. Iwata was an amazing programmer. Iwata always seemed so honest and humble. From giving himself a fifty percent pay cut instead of laying people off to being open in the numerous Iwata Asks, Nintendo Directs and other media he participated in. He felt less like a CEO and more like just another gamer. He had highs with the Nintendo DS and the Nintendo Wii and lows with the Nintendo 3DS and the Nintendo WiiU. He was gracious even with the lows. Offering customers free games to compensate for the lack of titles (3DS). In general though I believe he has definitely been advantageous to Nintendo. I can not imagine anyone else in the chair. Partly due to the fact that Iwata has been CEO for so long. I was still in primary school when he took the position. I wonder where Nintendo will go from here. I see a lot of people say that Iwata is running Nintendo into the ground. Though that opinion may change now. I hope that they can get someone just as inspirational, down to earth and personable as Iwata. Whoever they get has big shoes to fill, that’s for sure. Very sad news. More video game companies should have CEOs like him.